Our Team. On Your Team. 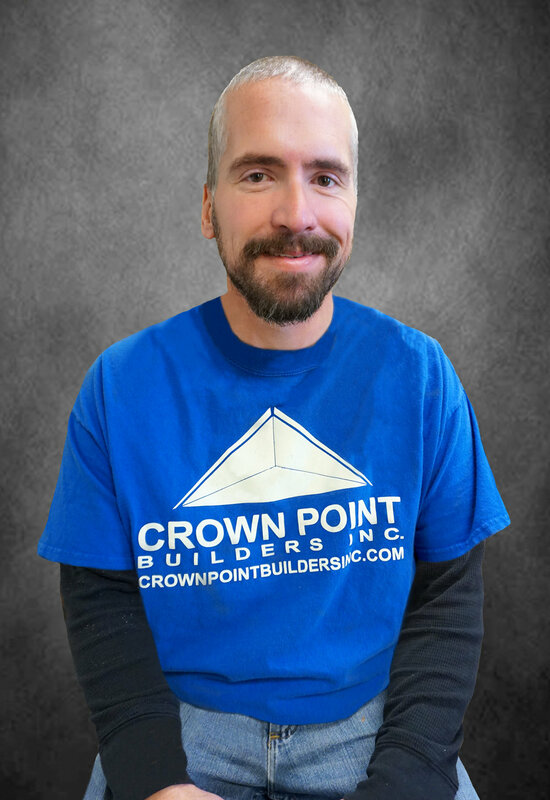 — Crown Point Builders, Inc.
From the first step, our friendly staff is there for you. Answering questions, giving their expertise, and working tirelessly to produce your beautiful finished space are just the beginning. Paul, Lynne, and the entire crew welcomes you as a part of our family. Lynne holds a bachelors degree in housing and has designed and built three homes for her own family. Paul and I have worked side by side for the past 19 years building new homes as well as remodeling. I have lived in nine homes in the past 32 years and lived the remodeling process in six of them. I have raised three children to adulthood amid varying levels of construction activity. I have a special interest in color and design and love helping customers create their own personal style. My education and experience give me a unique perspective on the construction process. I truly do understand what you will be going through. Jennifer brings a bachelors degree in business management and a varied work experience to the team. Having grown up in the construction business, she has experience at every level. Time spent in the fast-paced world of transportation has given her a practical and process based approach to projects. "My passion is in surprising every client with more than they could have dreamed of. My mission, however, is making the entire building process better. By combining my technical skills and passion I strive to create an exceptional experience." Kelly has a bachelors degree in general studies with management, marketing, and communication emphases. Her experiences range from advertising and graphic design, to purchasing and customer service. Kelly’s background makes her a well-rounded part of the team, able to pitch in on nearly any task. She is the daughter of a carpenter and has great appreciation for the art of design and building. Kelly has four children, a multitude of pets, and also enjoys tackling her own home projects. Renae has a bachelor’s degree in communications with an emphasis in print and public relations, and a minor in business. She has had a wide variety of job experiences from sales and pharmacy, to graphic design, photography, and marketing.